immersive physical effects with stunningly accurate realism. 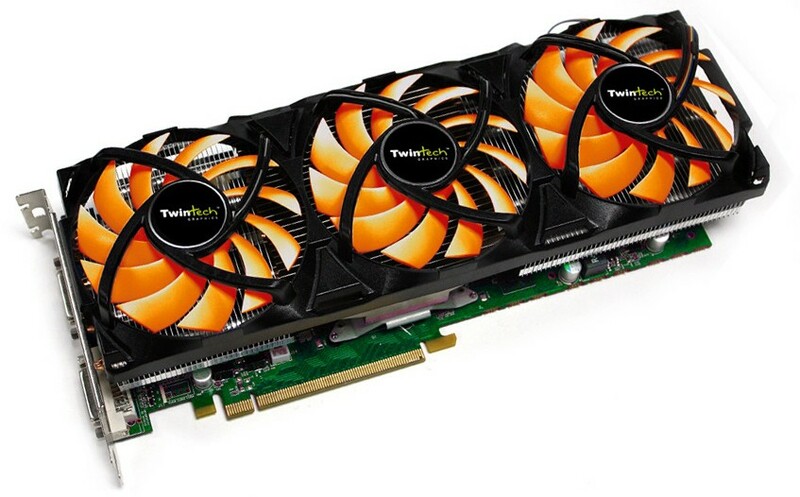 Experience absolute immersion and a 50% pure performance boost than prior generation GPUs with the GeForce GTX260 GPU. With HDMI interface technology, getting the utmost in simplicity, performance and system intelligence. Up to 10.2 gigabytes per second, more than twice the bandwidth needed to transmit a 1080p signal. 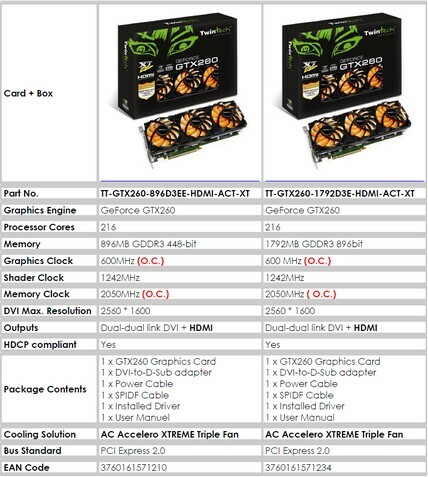 GTX260 also provide AC Accelero XTREME 3 ultra quiet 92mm PWM Fan overclocking potential and extends the Edition, which gives enthusiasts a very promising result, also maximizes the service life of TWINTECH ™GTX260 HDMI XT OC Edition Graphics Card. more than twice the bandwidth needed to transmit a 1080p signal. under Windows Vista with solid, state-of-the-art drivers. – delivering incredible performance improvements over traditional CPUs. Express motherboards for the broadest support. applications for a silent, low power PC experience.